It appears the rumors of the new Asus ZenWatch 3 were correct. The new smartwatch now sports a circular watch face instead of a rectangular design. The Asus ZenWatch 3 was announced in Berlin at the IFA 2016, as it was rumored, it was going to. The design in the leaked pictures worried me greatly as it really did not appeal to me. However, seeing the design in better quality, it is so much nicer. It does have the three buttons on the right hand side, which I would say is unnecessary. The smartwatch now has a jewelry-grade 316 stainless steel and a diamond cut bezel. With the strap coming in Italian leather or high quality rubber band, with dark brown or beige shades. The body comes with rose gold, gunmetal and silver. Just like the ZenWatch 2, the 3 is IP67 water resistant and you do not need to worry about getting it wet. The resolution of the screen is 400x400, measures to 1.39 inches. There is a Snapdragon Wear 2100 processor inside, with 512MB of RAM. A healthy 4GB of internal storage is also included. With all of this we are looking at a battery life of two days, so nothing too exciting here. You should be able to get 0 to 60% in just 15 minutes with a new Hyper Charge Technology feature. There is also a way to get an extra 40% of battery life by using the included portable magnetic charger that clips onto the back of the Asus ZenWatch 3. The Asus ZenWatch 3 is running Android Wear, though not the Wear 2.0 yet. The three buttons on the right allow easier control, with the top button allowing you quickly launch an app of your choice. ASUS are convinced that the new ZenWatch 3 is "a sight to behold" "where beauty meets power". 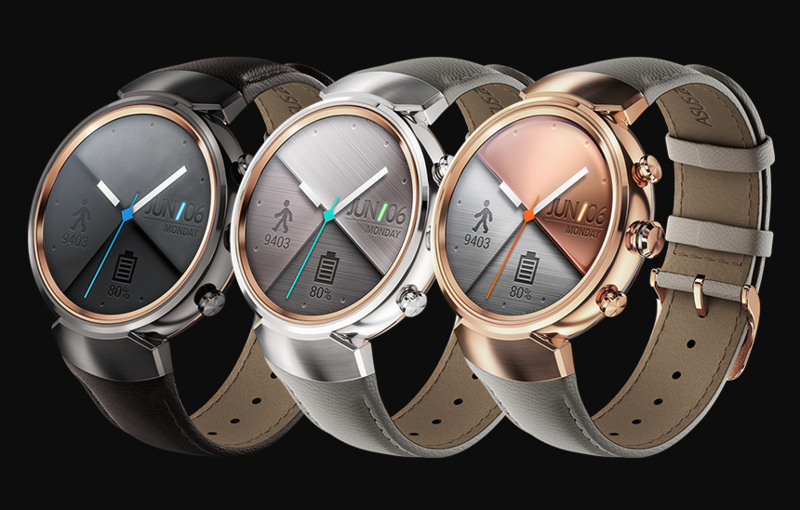 After watching the pruduct video [with audio on], I am convinced that the ZenWatch 3 would have helped Frodo immensely in his quest to Mordor. In the fitness department, Asus claims the industry standard has been achieved with a 95% accuracy in activity tracking. Tracking is controlled in the ZenFit tracking platform, while other functions are controlled in the ZenWatch Manager smartphone app. Priced at €229, this would be about £190 or $250, though there are no official prices for the UK and the US. We also do not know when the new smartwatch will be released in the UK and US, so keep an eye out for any dates published.